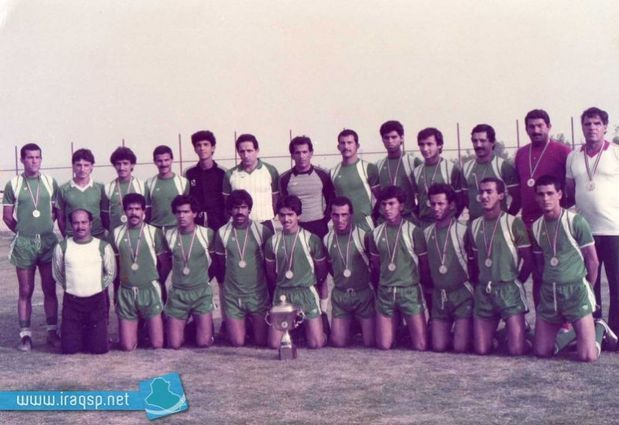 Al Shorta competed in the first ever Arab Police Championship in 1976 and won the tournament. The tournament consisted of four teams: Al Shorta of Egypt, Al Shorta of Syria, Al Shorta of Sudan and, of course, Al Shorta of Iraq. The four teams would compete in a group, with each team playing each other once and the winner of the group winning the whole tournament. Baghdad hosted the tournament, giving Al Shorta (Iraq) a slight advantage over everybody else. Al Shorta (Iraq), managed by Abdul-Kadir Zeinal, played their first game against Al Shorta (Egypt) who were favourites to win the tournament. Al Shorta (Iraq) ended up losing the game 1-0 after a poor performance. Al Shorta (Iraq) went up against Al Shorta (Syria) in their second game and played a lot better than they did against Al Shorta (Egypt), winning the game comfortably 2-0 after two goals from Ali Hussein Mahmoud. It was an outstanding performance and a sign of things to come. Al Shorta (Iraq)'s last game was of course against Al Shorta (Sudan). Al Shorta (Egypt) had won both of their games and Al Shorta (Iraq) had to defeat Al Shorta (Sudan) and hope that Al Shorta (Egypt) slipped up against Al Shorta (Syria) because this would mean that they would win the tournament. It was unlikely, but not impossible. Al Shorta (Iraq) did what they had to do which was defeat Al Shorta (Sudan). They won the game 3-0 with goals from Sabah Hatem, Hussein Laibi and Jabar Hameed sealing the victory. This brought Al Shorta (Iraq)'s goal difference up significantly and Al Shorta (Egypt) had to lose against Al Shorta (Syria) for Al Shorta (Iraq) to win the tournament. A draw would see Al Shorta (Egypt) win the title. But Al Shorta (Syria) pulled off the biggest surprise of the tournament, defeating Al Shorta (Egypt). This meant that Al Shorta (Iraq) had won the tournament on goal difference with Al Shorta (Egypt) coming second, Al Shorta (Syria) coming third and Al Shorta (Sudan) finishing in 4th place. It would be the first of five times that they would win the tournament. 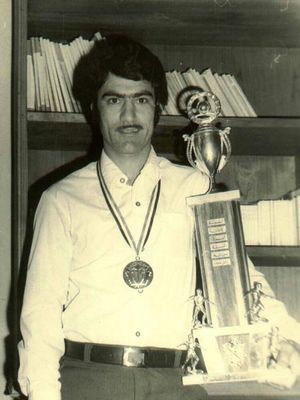 Al Shorta competed in the Arab Police Championship for the second time in 1978 in Syria, and won the tournament again. This time, there were ten teams in the tournament. There were two groups, Group 1 and Group 2 which both consisted of five teams. Al Shorta of Iraq were drawn into Group 2 with Al Shorta of Kuwait, Al Shorta of Sudan, Al Shorta of Bahrain and Al Shorta of United Arab Emirates. Group A was made up of Al Shorta of Syria, Al Shorta of Qatar, Al Shorta of Palestine, Al Shorta of Jordan and Al Shorta of Libya. Al Shorta (Iraq)'s squad consisted of the following players: Raad Hammoudi, Qasim Mohammed, Douglas Aziz, Saad Dawood, Mataz Hussein, Ali Hussein Mahmoud, Mohammed Tabra, Hussein Laibi, Mahmoud Hussein, Riyadh Nouri, Adnan Jafar, Haadi Al Janabi, Jabbar Hameed, Razzaq Hatem, Tariq Abdulameer, Salem Ibrahim, Waleed Jassim, Bashar Salman and Ali Kadhim who was on loan from Al Zawraa (pictured left with the trophy). They were managed by Abdul-Kadir Zeinal, the same man who coached Al Shorta to victory in the previous edition of the tournament. 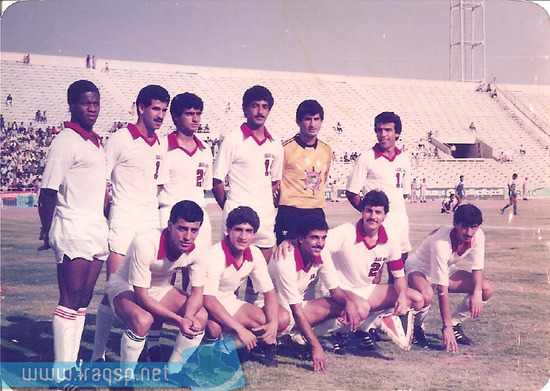 Al Shorta (Iraq)'s first game was against Al Shorta (Sudan), the team that came last in the 1976 edition of the tournament. However, Al Shorta (Iraq) failed to win the match, drawing 1-1 with Ali Kadhim scoring Al Shorta (Iraq)'s goal. Al Shorta (Iraq) had to improve in their next match against Al Shorta (United Arab Emirates), and they certainly did as they ran out 5-0 winners. Ali Kadhim scored a hat-trick and Hussein Laibi scored the other two in a game where Al Shorta (Iraq) absolutely destroyed their opponents. Al Shorta (Iraq)'s penultimate game of Group B was against Al Shorta (Bahrain) and Al Shorta (Iraq) comfortably won the game 2-0 with Ali Kadhim scoring his fifth goal of the tournament and Saad Dawood bagging his first. Al Shorta (Iraq) went into the last group game against Al Shorta (Kuwait) knowing that a win would ensure that they qualified to the semi-finals in first place. They did win the game 1-0 with Hussein Laibi scoring his third goal of the tournament. After qualifying to the semi-finals in first place, Al Shorta (Iraq) bagged themselves a tie with Al Shorta (Libya). Al Shorta (Iraq) thrashed their opponents 3-0, with Ali Kadhim scoring another two goals and Hussein Laibi scoring another one. It is fair to say that Ali Kadhim is one of the greatest loan signings in Iraqi football history. Al Shorta (Iraq) would face Al Shorta (Kuwait) for the second time in the tournament in the final and triumphed in the game 2-0 with Saad Dawood and Adnan Jafar scoring the winning goals. 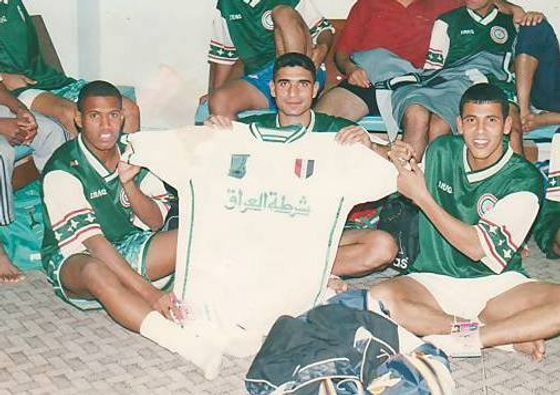 It was the second time Al Shorta (Iraq) had won the tournament, and seven years later they would win it for the third time. Al Shorta's third Arab Police Championship triumph came in 1985. The tournament was played in Baghdad for the second time and it consisted of seven teams and two groups. Group A included Al Shorta of Libya (who would end up failing to score a goal in the whole tournament and concede fifteen), Al Shorta of Kuwait, Al Shorta of Saudi Arabia and Al Shorta of Jordan whilst Group B was Al Shorta of Iraq, Al Shorta of Palestine and Al Shorta of Qatar. Al Shorta (Iraq) began the tournament under the leadership of Mohammed Tabra, and some of his players were Wasafi Jabbar, Tariq Abdulameer, Ali Hussein Mahmoud, Faisal Aziz, Khalid Hadi, Basem Qasem, Muwafaq Hussein, Hassan Kooley, Mohammed Khalaf, Ali Rustam, Saad Qais and Riyadh Nouri. Al Shorta (Saudi Arabia) had won Group A with Al Shorta (Kuwait) finishing second, therefore both of these teams qualified to the semi-finals. Al Shorta (Iraq) were in Group B and drew their first game against Al Shorta (Qatar) 0-0. Following this game, Mohammed Tabra was replaced by the legendary Abid Kadhim as manager of the side and in their second group match against Al Shorta (Palestine), Al Shorta (Iraq) produced the best performance of the whole tournament, cruising to an astonishing 6-0 victory with Ali Hussein Mahmoud and Faisal Aziz each bagging braces and Muwafaq Hussein and Saad Qais scoring the other two. Al Shorta (Qatar) also defeated Al Shorta (Palestine), but Al Shorta (Iraq) had better goal difference and therefore qualified to the semi-finals in first place with Al Shorta (Qatar) coming second. Because Al Shorta (Iraq) won their group, they got to play the second-placed team in Group A, which was Al Shorta (Kuwait), in the semis. Al Shorta (Iraq) ran out 4-2 winners, with Faisal Aziz scoring two, Mohammed Khalaf scoring one and Ali Hussein Mahmoud scoring one. Al Shorta (Saudi Arabia) defeated Al Shorta (Qatar) 10-9 in a penalty shootout in the other semi-final to reach the final where they would face the tournament's eventual winners Al Shorta (Iraq). After Al Shorta (Kuwait) defeated Al Shorta (Qatar) 3-1 in the third-place playoff, Al Shorta (Iraq) played Al Shorta (Saudi Arabia) in the all-important final on 07/05/1985 and won the game 1-0. Mohammed Khalaf scored the goal on 37 minutes when the ball rebounded off of an Al Shorta (Saudi Arabia) defender and into his path. All he had to do was slot it into the back of the net and he did just that to win the tournament for his team. Al Shorta (Iraq)'s Faisal Aziz finished as joint-top scorer in the tournament, alongside Al Shorta (Saudi Arabia)'s Nassir Al Dossari with four goals. The third top scorer was Al Shorta (Iraq)'s Ali Hussein Mahmoud with three goals. Al Shorta (Saudi Arabia)'s players took their defeat like men and even waved the Iraqi flag around the stadium which consequently led to a round of applause from the 17000 spectators that were present; it was a beautiful scene. The fourth Arab Police Championship, hosted in Tripoli, Libya, consisted of five teams, with each team playing each other once and the team with the most points being crowned champions. The five teams were Al Shorta (Iraq), Al Shorta (Syria), Al Shorta (Sudan), Al Shorta (Yemen) and Al Shorta (Libya). This time, Al Shorta (Iraq) were represented by the Al Jaish club, meaning that the team was managed by Al Jaish coach Abdelilah Abdul-Hamed. His squad included the likes of Fatah Nsaief, Akram Emmanuel, Hussam Nameh, Samir Shaker, Hameed Rasheed, Hilmi Jihad, Karim Mohsen, Qassim Nassif, Mohammed Abdul-Hussein, Ayed Aso, Aesho Youhna, Rahim Hamid, Ali Hussein Mahmoud and Sadiq Ghanim. The opening game for Al Shorta (Iraq) was against Al Shorta (Syria) on 13 June. The match ended 2-2, with Rahim Hamid and Mohammed Abdul-Hussein scoring the goals for Al Shorta (Iraq). The following game was against Al Shorta (Sudan), with Hameed Rasheed and Aesho Youhna scoring for Al Shorta (Iraq) who won the game 2-0. The third game for the Iraqi side was against Al Shorta (Yemen) and Al Shorta (Iraq) scored an impressive 4-0 victory, largely thanks to two goals from Aesho Youhna. Al Shorta (Iraq) ended their tournament on 22 June with a 1-1 draw with hosts Al Shorta (Libya), with Aesho Youhna scoring yet another goal. The Iraqi team's record of two wins and two draws was enough for them to finish ahead of the other four teams in the table and therefore be crowned champions for the fourth time. Ayed Aso was awarded the Player of the Tournament award and Aesho Youhna was the tournament's top scorer with four goals in four games. The fifth and final edition of the Arab Police Championship was hosted in Baghdad, Iraq, in April and May of 2002. Just like the previous edition, it consisted of five teams who each played each other once. The teams were Al Shorta (Iraq), Al Shorta (Jordan), Al Shorta (Palestine), Al Shorta (Sudan) and Al Shorta (Syria). Al Shorta (Iraq) were represented by the Iraqi youth team in this edition of the tournament, and hence, Al Shorta (Iraq) were managed by youth team coach Nasrat Nassir. His squad consisted of three goalkeepers (Mann Jamil, Saifaddin Zaman and Wissam Talib), seven defenders (Muayad Khalid, Haider Aboudi, Jassim Mohammed Haji, Zaman Jawad, Ali Abd Ali, Ali Hussein and Wissam Kadhim), nine midfielders (Haitham Kadhim, Bashar Hadi Ahmed, Ameer Obiad, Ahmed Hassan Fadhil, Jassim Mohammed Suleiman, Hamad Jaber, Safaa Kadhim, Muslem Mubarak and Osama Shalil) and five forwards (Fuad Jawad, Qasim Jalout, Thair Zawid, Ali Jawad and Younis Mahmoud). Al Shorta (Iraq) kicked off their tournament on 23 April at Al Shaab Stadium with a 3-0 win over Al Shorta (Palestine), thanks to goals from Hamad Jaber (on 27 minutes), Ali Jawad (on 32 minutes) and Qasim Jalout (on 77 minutes). Three days later they faced Al Shorta (Jordan) at the same venue and recorded a 2-1 victory. Ameer Obiad opened the scoring for Al Shorta (Iraq) on 10 minutes but Al Shorta (Jordan) equalised on 65 minutes through Muayad Omar's penalty. But five minutes later, Ali Jawad scored the winning goal for Al Shorta (Iraq). Al Shorta (Iraq) played their penultimate match on 30 April at Al Shorta Stadium and won the game comfortably 2-0 against Al Shorta (Syria) with goals from Thair Zawid on 48 minutes and Hamad Jaber on 51 minutes. Their final game came on 2 May at Al Shorta Stadium and it was an easy 3-0 victory over Al Shorta (Sudan). Muslem Mubarak scored the opener on 24 minutes before Hamad Jaber scored twice on 28 and 48 minutes respectively. Al Shorta (Iraq) ended the tournament with four wins from four, and won the tournament with twelve points, which was seven points ahead of runners-up Al Shorta (Jordan). This was the fifth Arab Police Championship, and Al Shorta (Iraq) won all five of them. You are free to copy texts, whether in whole or part, and pictures from this website provided that proper acknowledgement is given to www.alshorta.webs.com.